← Do you want to control your business destiny? This entry was posted in Growth!, Ignition! Starting up, Protecting the business. Bookmark the permalink. 6 Responses to Are you wasting money filing patents? You have left out a very important aspect of patent cost: enforcement. If it is a large company that is infringing on your patent, good luck dealing with them outside of a court room. Why should they be concerned? Having a patent only gives you the right to sue them and it doesn’t guarantee you will win. If you are a cash strapped start-up, chances are you will loose. 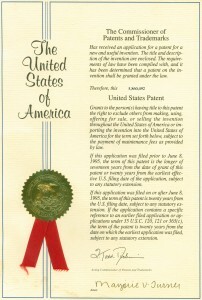 You could even have your patent invalidated. 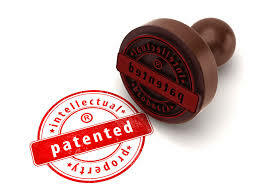 If you thought getting the patent was costly, wait till you try to take a competitor to court. At Bakman Technologies we have both patents and trade secrets. Of the two, I value the trade secrets more because I am not teaching my competitors how to do something. …thanks for taking the time to expose the facts…. For enforcement, startup companies should get patent enforcement insurance. A typical startup might pay $5000/year for $500,000 of patent enforcement insurance. First if you are paying $16,000 to get a patent you have not found the right law firm. Many firms recognize the future value of working with start-ups and can do this for much less. Your local start-up ecosystem should be able to help you find these types of firms. Second, there are significant challenges to legally maintaining trade secrets. The information must be rigorously protected with clear policies, procedures and secrecy agreements. Writing “policies and procedures” is not the strength of most entrepreneurs. As with any secret it is wise to limit access to a very small group. This can be difficult for a start-up talking to many investors who want to have confidence in the “secret sauce” or potential employees who want to understand the technology to have the confidence to make the leap to a start-up. Finally, I do agree that making the decision to apply for a patent should be carefully considered. It is a decision with long term implications beyond the initial granting process. Just be aware that maintaining a trade secret requires a serious commitment of internal time and energy versus the external expense of a patent. Thank you, Dave, for another illuminating post. I would add one more important criterion for the decision to patent: could infringement be (easily) policed? It is in the nature of many inventions, particularly in the area of methods and processes, where a competitor could infringe as much as they want and you would never be able to find out. In those case, trade secrets are really the only sensible route for protection. I’ve defended multiple patents with the Patent Office. Even though your team would be working with counsel to get everything filed properly; a business owner needs to take into account the time it will take them to research and defend all of the past patents the office might bring forth in a challenge. This took weeks of time which we didn’t expect at the onset.